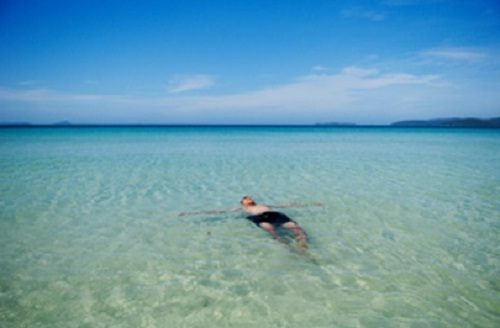 Kayaking services are included in the itinerary 3 days / 2 nights. 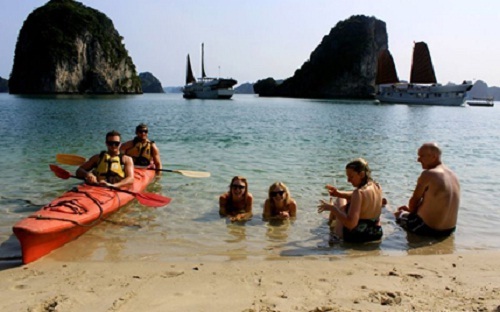 For cruise 2 days / 1 night, use of kayaks fee is US $ 20 / hour. You should register early kayak rental at the reception prior to being served. You also note that in the winter or the weather conditions are not favorable, such as wind, tidal or ocean, no boating services to ensure the safety of travelers. Service in the cabin for dinner is not served. Private dinner party or requirements need to be registered in advance and will be charged extra. Please be assured that even if you do not have a doctor on board, but we are always willing to help and give you the usual drugs. You should bring all kinds of cold medicines, fever, diarrhea commonly used, although we hope you will not need them, but the preparation is always necessary. These customers are a prescription by a doctor, make sure that you have enough medication to bring throughout the journey. In emergency cases will need help on the shore, so if you or partner feel unwell, please kindly contact Reception. The main language on board is English. Captain, the staff and our guides are fluent in English use. Bhaya not simply yachts, moreover, it is an experience. 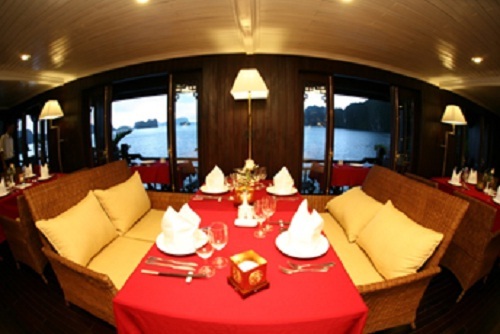 From the natural beauty of the waters endowed to the attention to the smallest detail, all combined to make a most amazing experience on Halong cruise travelers. With a staff training program being implemented by all the European management experience, we are committed to always providing customers with the service quality standards of 5 stars. The majority of the staff on board to use good English, and the friendly, their enthusiasm will help you feel like you’re in your own house. We actively participate in and promote sustainable activities to minimize the negative impact on society and the local environment in Ha Long Bay while ensuring economic benefits of economic activities business. We are committed to using the services of suppliers and hiring local labor. We are focused on operational nature of responsibility and trust with the community to make sure that the guests will support us implement this objective. 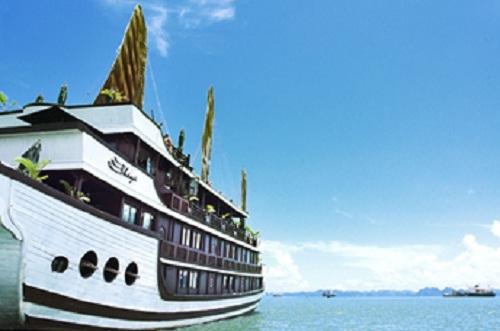 With professionally designed, perfect to every little detail, Bhaya Cruises Ha Long not only gives you the understanding of Ha Long Bay, but also enabling you to meet friends around the world , together to experience the unique cultural identity of Vietnam. (Visit Vung Vieng fishing village, participate in cooking school in Vietnam, Tai Chi exercises on the morning rooftop deck, cycling on Cat Ba Island). Each boat has 20 cabins are designed in traditional style combined with modern comforts of the West, giving visitors a relaxing private space, comfort and warmth. 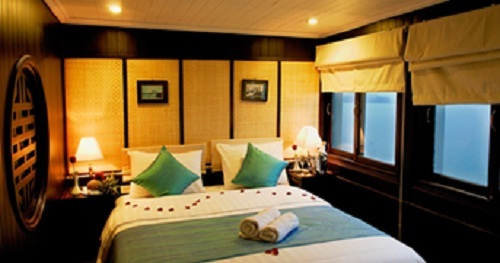 In particular, each room has large windows with a clear view of Halong Bay. Bed is designed in the style of modern amenities, duvet and pillow with high quality materials, flexible layout (1 double or 2 single beds) depending on your requirements. You will truly superior in their own room!